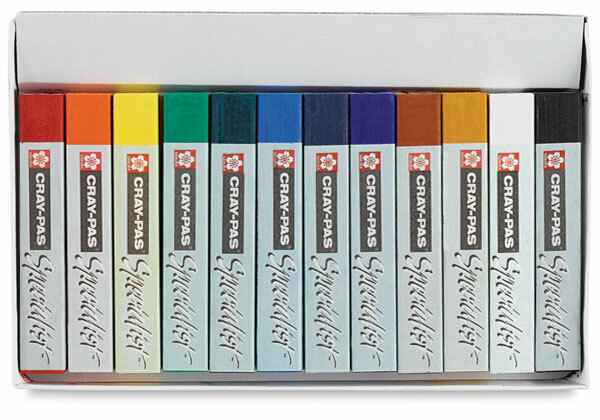 Specifically developed and formulated to meet the demanding standards of professional artists, these pastels have exceptional color intensity and luminosity. 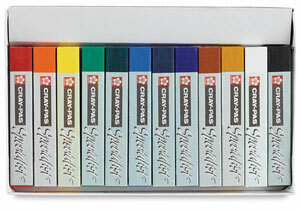 Using high concentrations of extra fine pigments, Sakura created extremely smooth and soft textured pastels that are highly lightfast and suitable for any technique — from fine detail using their square corners, to glazing and wash techniques with a variety of oil painting mediums. 2-1/2" × 3/8" square pastels, unwrapped.